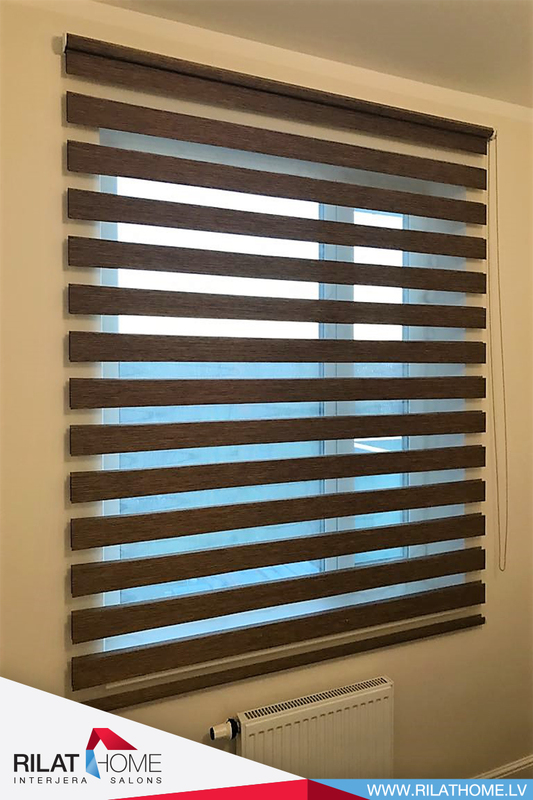 Blinds Night and Day is a kind of roller blinds. The fabric is lowered in two layers moving relative to each other with the help of a weighting-shaft between them. It is controlled by a chain. Fabric layers of Zebra curtains, striped: thick lines alternate transparent. The fabric is wound round on the shaft and is fastened to the back plate behind the roll. Weighing shaft is pulling fabric down, forming two layers. 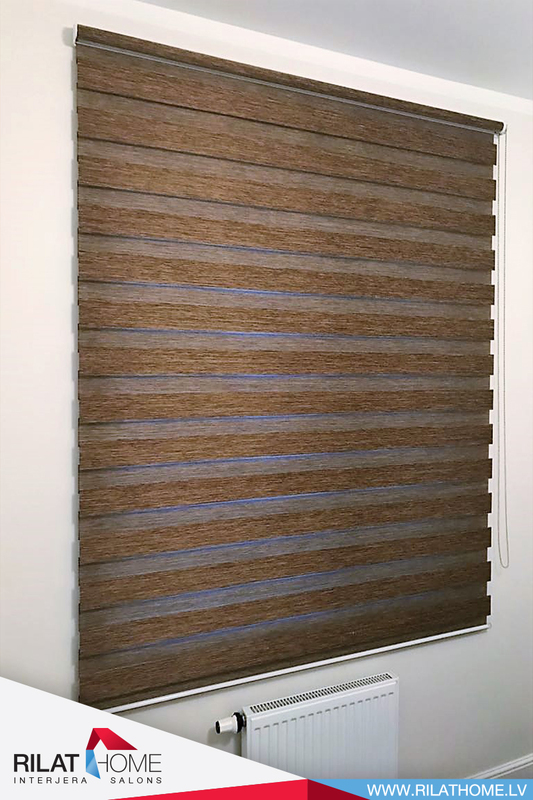 When the lines of the dense fabric of one layer coincide with the transparent ones of the other, the fabric forbids the direct passage of light into the room. If two layers of the same fabric coincide, the light goes through the transparent lines. The fabric can be lifted fully up into the roll. 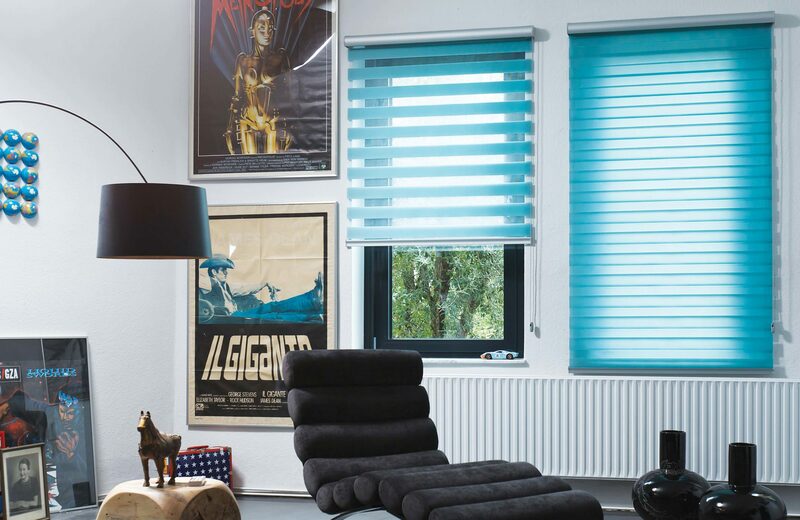 Due to the fact that the fabric does not need to be lifted to adjust the light passage but rather just to shift one layer relative to the other, Day and Night roller blinds are more functional than classic single-layer roller blinds. 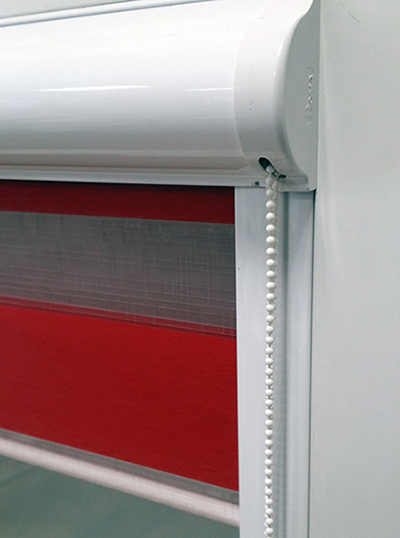 For the usage of the roller blind Day and Night there were designed several system for the fabric. There are free-floating and cassette type of Zebra curtains. Both types have a chain control that can be placed on the left or the right side. 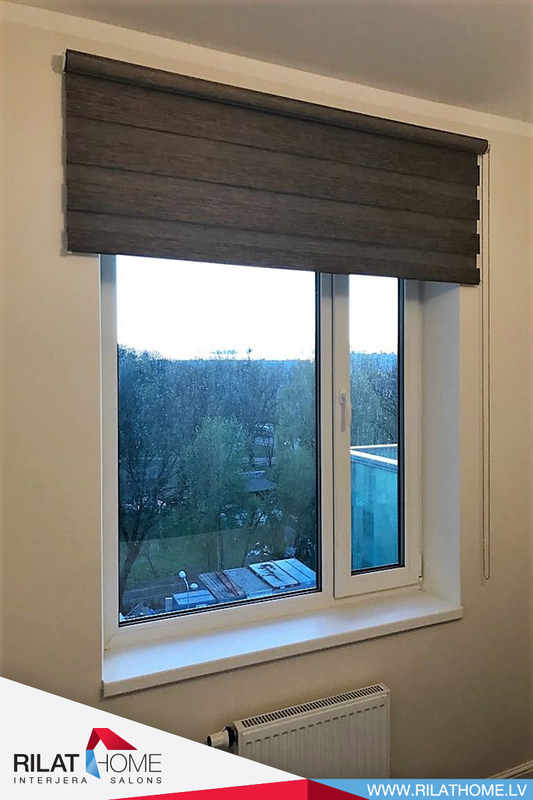 Day and Night blinds for the plastic windows. We invite to cooperation designers and design studios, architects and superintendents!